← Is There a Book in Me Dying to Get Out? What is the one appliance you can’t live without? Are the folks at NaBloPoMo for real? Just one? I dunno that I could live without quite a few of my appliances!!! Now, should I limit myself to the big ones (fridge, stove, washing machine) or keep with the smaller ones (toaster, blender, food processor)? I’d think I’d be taking the easy way out with the little ones, eh? OK, OK… lemme think. Lemme think!!! Washing dishes by hand? Pffftt… easy-peasy and one that I do often enough. Dryer? Nah.. I’ve got a clothesline – mind you, using the clothesline at -20°C may not be ideal… Refrigerator? Oh dear. That one is a tough one. I think I’m ill-equipped to live like the folk driving across the plains in covered wagons but I supposed I could somehow survive. Somehow. Washing machine? Ugh. I live with two teenagers and a husband. That can be quite a lot of laundry… Mind you, they could be trained to wear their clothes more than once – especially if I had to do the whole scrubbing with a washing board! No, for me, I could NOT do without my oven/stove! I’m a caterer for goodness’ sake! And let’s just say I wasn’t trying to make a living cooking, I am still an avid cook. I would simply go nuts not being able to fry an egg or bake a cake! 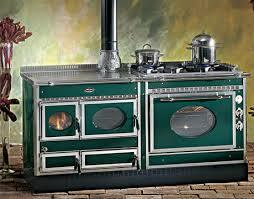 This entry was posted in Food, NaBloPoMo and tagged appliances, NaBloPoMo, wood-burning cooking stove. Bookmark the permalink. For me it is my washer, I could not live without it for sure. Oh my, I’m with you on the more than one thought. Need a stove, fridge, and a washing machine. A car is nice too, but I have feet. I can walk most places.